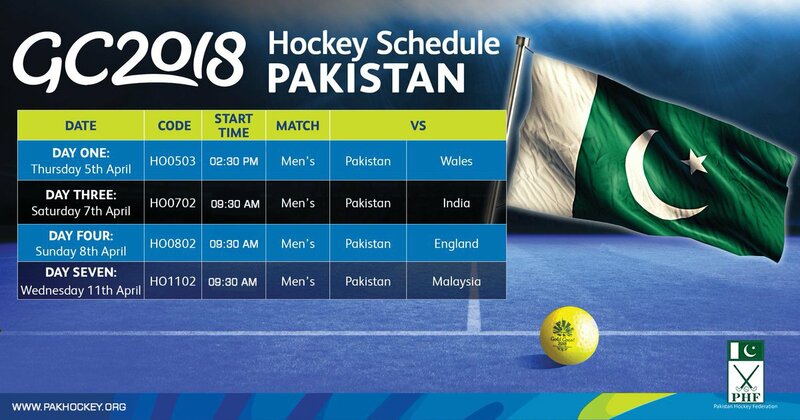 2018 Commonwealth Games are starting from April 4, 2018 and Pakistan is sending its hockey team where once again we will be facing India on Saturday 7th April!!!! Quote: The country's Olympic body, the Pakistan Olympic Association (POA), split into two separate factions earlier this year, with only one recognised by the International Olympic Committee (IOC). The other is backed by the state-run Pakistan Sports Board. The Pakistan Hockey Federation, which relies on the state-run Sports Board, ignored the IOC-backed faction of the POA and, as a result, showed no interest in sending a team to Glasgow for next yearâ€™s Games.